Introducing the Westcave Pass! An annual pass that allows pass holders, plus 3 guests, to access the Preserve during regular public hours. 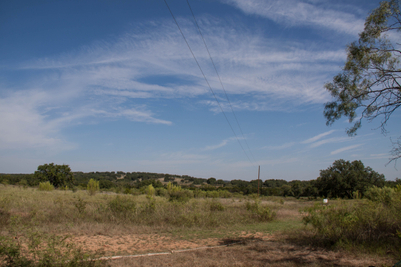 The Uplands is a 45-acre property that was originally purchased in 2008. Conservation efforts on the Uplands are essential to the overall health and functioning of the entire preserve. The shared efforts and hard work of many volunteers and staff have contributed greatly to conserving the Uplands. The Uplands trail system was established in March of 2014. Unimproved hiking trails wind through a dynamic Live Oak and Ashe Juniper savanna on the Uplands . The savanna provides essential habitat to a variety of wildlife. During the spring and fall, the savanna blooms into a painted landscape of wildflowers which then transforms into a sea of tall grasses in the drier seasons. 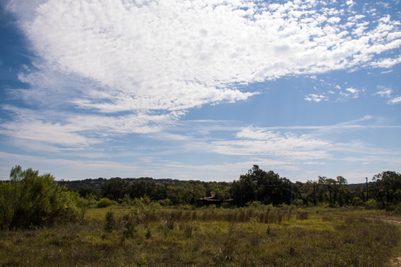 On the trails, a visitor can enjoy bird watching, solitude and the sounds of nature, animal tracks, wildlife sightings, and pristine views of the surrounding Texas Hill Country. While hiking, you will find a cabin dating back to the early 1900's located just off the trail. Stop by the Murphy bird blind, established in 2014, and add to the bird sightings log or look through the provided bird guides. Second Bird Viewing Blind – Our next bird blind will be built farther from the trail to offer an even more secluded birding experience. Expansion of butterfly gardens- the Ahrns Grove will be fenced off and more gardens will be added to area. Seating and educational information will be provided to make this area a destination for both visitors and pollinators. River Overlook Trail –The new River Overlook Trail will offer stunning views of the Pedernales River and wide open vistas of the surrounding Hill Country. Available by guided tour only. Historic Homestead Restoration – Once restored, the circa 1900s homestead will become a fascinating way for visitors to learn about the early inhabitants of the Hill Country. Want to support these projects? Volunteer or make a donation. Thank you for your kind support!